Other Products by Gen-Tec. Search other Intra-Workouts products. P2P is designed to give you the "Power to Perform"
P2P combines a synergistic blend of nutrients to power the most intense physical workout including creatine monohydrate (mesh size 320) to increase strrength, power output and muscular endurance with amino acids to enhance protein synthesis, creatining an anabolic environment for lean muscle growth. 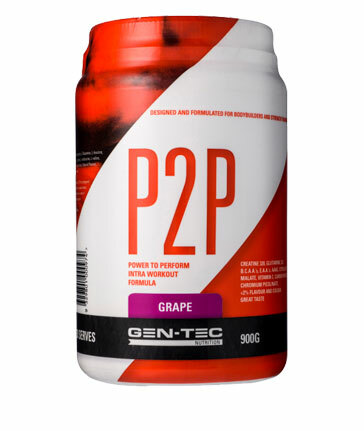 P2P also provides the nitric oxide precursors AAKG and citrulline malate for an awesome muscle pump and enhanced nutrient delivery to working muscles along with carbohydrates. All combined to push you to the brink and help you get the most out of your gym session powering you to push through to the final rep.
Development and release of P2P was prompted by trials siting body composition, performance and hormonal response of consuming Amino Acids and Carbohdrates during resistance training. When consumed during training the combination of Carbohydrate (CHO) and Essential Amino Acids (EAA) enhanced muscle growth to a greater extent than consuming either alone. Following a 12 week trial of untrained males aged between 18-29 the CHO+EAA group gained almost 300% more muscle tissue than the placebo group. Mix 30g (1 rounded scoop) in 350mls of water and consume during exercise. 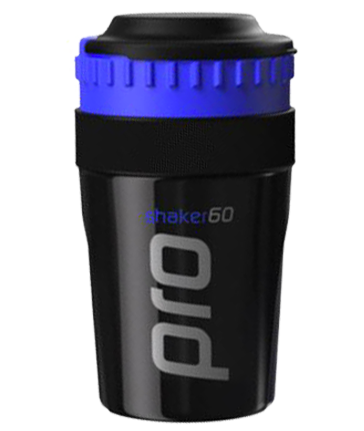 For bodybuilders and strength trainers >80kg in bodyweight; mix 60g (2 rounded scoops) in 700mls of water and consume during workout. Maximise workout potential; Increase strength and power output; Increase muscular endurance; Enhance protein synthesis; Create an anabolic environment; Increase lean muscle mass; Increase muscle pump; Support vasodilation and vascularity; Improve recovery. Bodybuilders and strength training athletes.